The Scrapbook Collection features three digitized scrapbooks that contain historical local and national newspaper clippings and other memorabilia about the Victoria School of Art and the Nova Scotia College of Art from the 1920s to the 1960s. The first scrapbook dates from 1921 to 1925, and contains various internal textual documents and newspaper clippings about the Victoria School of Art. The second scrapbook dates from 1927 to 1936, and contains various newspaper clippings and various memorabilia about the Nova Scotia College of Art. 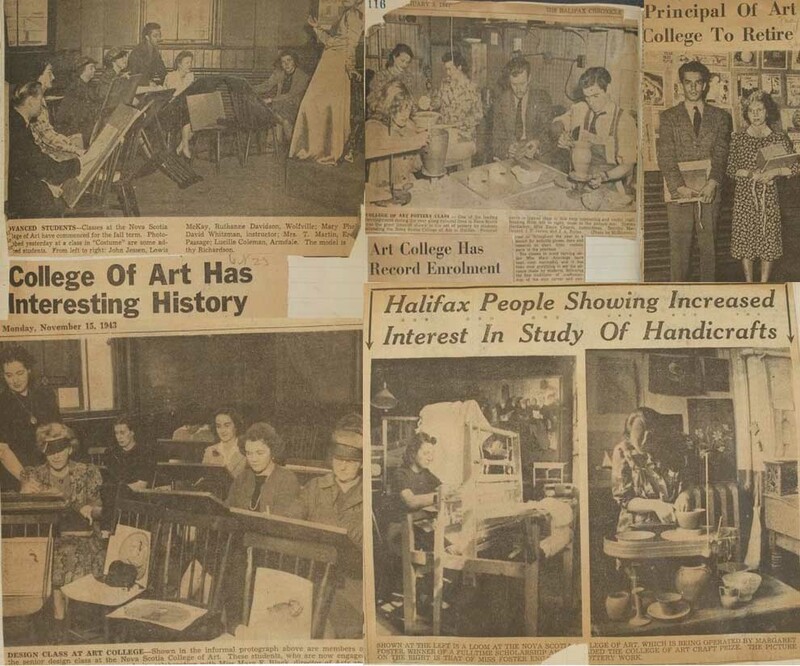 The third scrapbook dates from 1938 to 1964, and contains newspaper clippings about the Nova Scotia College of Art. The content of the Scrapbook Collection is a very unique collection for NSCAD to have as it has created a glimpse of the journalism that was written in regards to NSCAD. Updates on activities and events which involved NSCAD. Photographs of students, faculty, artwork, and studios. News on NSCAD's struggles and advancements. News about its faculty and its principal. The digitization of these scrapbooks was completed through a Young Canada Works grant awarded to the NSCAD Library.